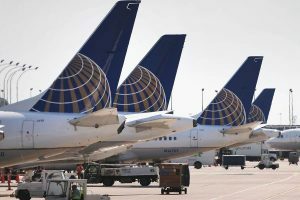 Aviation officers employed by the city of Chicago who were captured on video forcibly removing a flyer on a flight being operated by United Airlines have alleged that the passenger acted aggressively when he was asked to leave the plane. The officers also claimed that the man flailed his arms as he fought the law-enforcement personnel. The officers’ accounts were contained in filed reports which were released to the media. In what is likely to generate controversy, the reports by the aviation police officers contradict what was captured on video by passengers who were on the same flight and which are now publicly available since they were widely shared online. The videos show the victim, a Kentucky doctor named David Dao, declining to leave the plane before he is forcefully pulled out by the aviation officers. In the process Dao hits his head on a seat. The video also shows him being dragged down the aisle of the plane. But the filings by the officers attribute the injuries the passenger sustained to Dao. According to the officers, this is because by the doctor flailing his arms, the officers lost their grip on Dao and this resulted in him falling on an armrest with his face first. The filings also allege that even after being ejected from the plane, Dao managed to dodge the aviation officers and sneak back into the plane. He only voluntarily accepted to get off the plane when he realized he needed medical attention. Release of the filed reports has now uncovered the officers’ names. They are Sgt. John Moore, Steven Smith, Mauricio Rodriguez Jr. and James Long. Chicago’s Department of Aviation has since the incident placed the four on administration leave, according to city records. After the video went viral, public outrage ensued and the carrier had to issue a series of apologies. United Airlines also started looking into how it would deal with future situations with regards to overbooked flights. For instance, the chief executive officer of United Airlines disclosed that employees of the airline will no longer summon law enforcement officers to help get passengers off a plane in issues not related to security or safety. On learning of what was contained in the reports Thomas Demetrio, Dao’s attorney, termed the officers’ accounts of the incident as nonsense that couldn’t be trusted. “We’re hoping that Dr. Dao being taken off that plane like a sack of potatoes is going to resonate with people,” added Demetrio.